In a profile published back in August, Bloomberg revealed a new electric vehicle startup founded by the former Geely executive who oversaw the takeover of Volvo, Freeman Shen, and reported that they managed to raise over $1 billion in just over a year in order to launch mass-market electric vehicles by 2018. The company called WM Motor unveiled its first 3 models this week through press content sent to Chinese media and now making its way to international media. 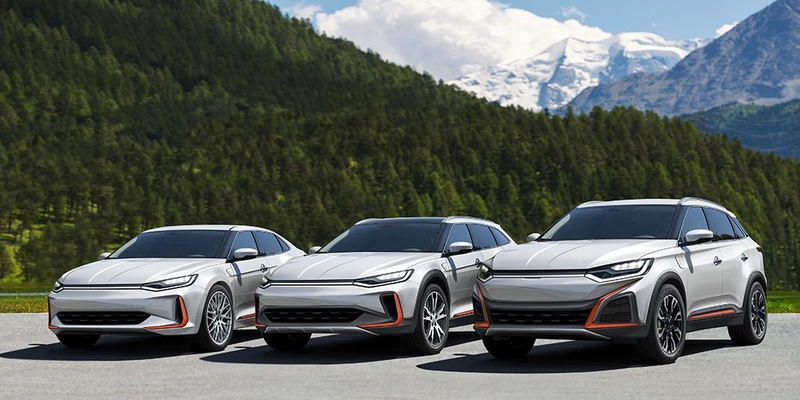 It appears that one of the first concepts of this billion-dollar EV startup is simply photoshopped images based on promotional pictures of the 2016 Mitsubishi Outlander. After the profile by Bloomberg, WM Motor gained some traction in the media with write-ups by Fortune and more recently Forbes, thanks to its high-profile executives and the alleged $1 billion in financing they received. The company announced partnerships with high-profile companies like telecom giant China Unicom and hardware firm Huawei and earlier this month, it also announced that it was breaking ground at its factory in Suzhou, China, where it plans to manufacture as many as 50.000 cars in 2018. This week, they revealed a lineup of 3 vehicles they plan to produce at this new plant. The SUV caught my eye. I was convinced I had seen it before, but we see a lot of electric vehicles at Electrek so maybe I was just confused. After all, the company claims it was designed by its Design Director, Sam Sun, a former designer at Bentley, Volkswagen and Borgward – all companies that have designed beautiful SUVs in the past. The vehicle was directly photoshopped on top of promotional pictures of the 2016 Mitsubishi Outlander. I guess $1 billion buys you some decent photoshop skills. For a car designer, it’s normal to get inspiration from other vehicles, but working directly off of a PR shot of a vehicle and releasing that content is a whole other level. I couldn’t quickly find matching models for WM’s other vehicles, but I wouldn’t be surprised if it comes up later. We are all for more competition in the EV industry and more money invested in manufacturing capacity to bring those electric vehicles to the masses, but this is kind of disappointing from a startup that reportedly already secured the money to bring those cars to market. Update: the company denies that the images are theirs.